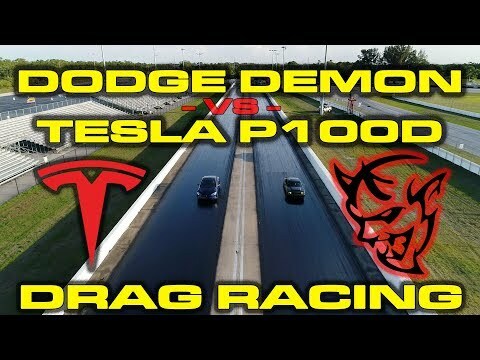 In this video the Dodge Demon is pit against the Tesla Model S P100D. The Dodge features a race tuned ECU and it is running on race fuel helping the Demon pump out 840 horsepower. Beyond this the skinny front tires and sticky rears help make it quite fast. Besides the Tesla Model S P100D race, the footage also features a McLaren 720S doing a very fast test run even with some wheel slippage. The video also shows a ton of nice rides, such as a McLaren 570S, Porsche 911 GT3 and a Ferrari 488 GTB.